When we began our homesteading journey there were a few things I wish I had known before we started. I am not talking about how much grain to feed a goat or even how many eggs does a chicken lay each week. I am talking before our shovels even hit the ground. Before we bought our first packet of seeds or even my first pair of barn boots. Yes, those behind the scenes things that should at the very least be addressed so you go into this new way of life with your eyes wide open. Sure there will still be surprises, but you will be prepared just a bit to deal with them. First, congratulations for even considering joining the homesteading lifestyle. Taking control of your home, food, and health is something to be commended. There is such a joy when eating food grown on your own land and tended with your own hands that the work and frustration are completely forgotten as soon as that fork hits your mouth. To make it easy, let’s look at homesteading as a story and with every story you have a prologue. This, my friends, is your homesteading prologue……. 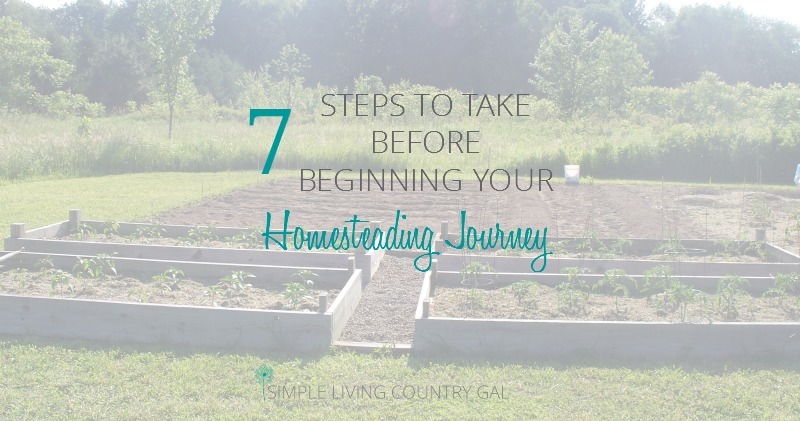 Starting a homestead from nothing can be daunting, so breaking things down into smaller steps works the best. Decide this is something you really want and commit to achieving it. Aim to do something anything every week or every day for that matter to get closer to your dream. Research, study, ask questions, take notes, save….save….save. You want a cushion in every area so you are ready for the unexpected. From money to education, go in ready both mentally and financially and you will be much better off. Once you are ready to do this, you need to change the way you think. You are now a homesteader my friend and you need to think like one. Make it don’t buy it. Reuse it don’t toss it. Make it work. Make something out of nothing. These are all phrases we live by now. No longer do we run to the store to get what we need, now we look at what we have around us and make it work. You can see this in action here where I made nesting boxes out of scraps. 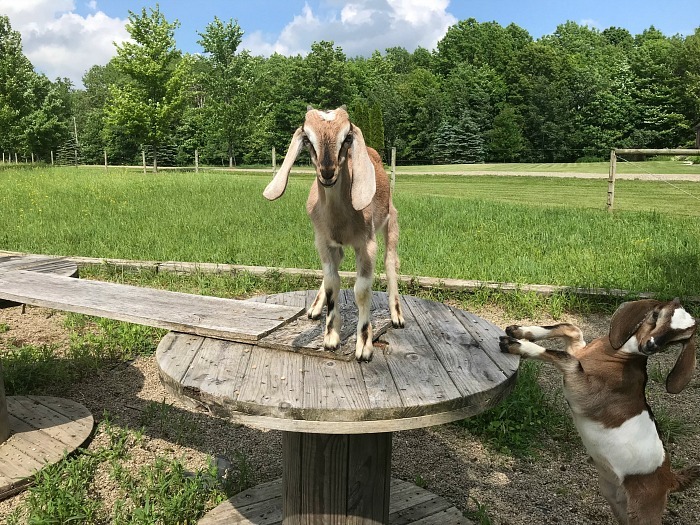 Or even when we made a playground for our goats for free! I love free…And before you know it, you will too. I love to homestead, unfortunately, it isn’t always easy. Knowing this going in will go a long way to helping you through the rough patches. Know that each set back, each mistake, each ball that you drop is a learning experience. A chance to learn what went wrong, adjust how you do things and move forward. I have yet to meet a farmer that hasn’t made a mistake, you will too so don’t beat yourself up for it. Keep a journal of notes that you can refer too whenever you need it. Write about your successes and your failures so you know just what worked and what didn’t. Also, learn from other’s mistakes as well. When you move to a homestead take the opportunity to learn from others around you. 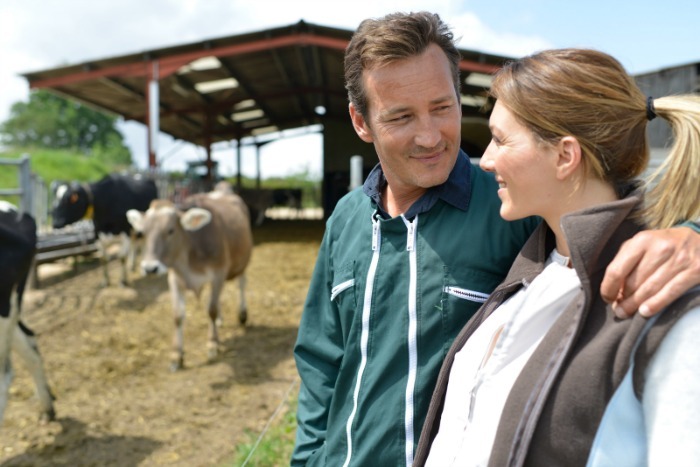 Find out about the area and what challenges are common. Pests, animals, diseases, and weather all factor into homesteading so learn from the experience of your neighbors. As with anything, you need to have a plan and you all know how I love to plan! Start out by making a list of what you want to have on your homestead. When Hubs and I started out we actually drew our plan. We showed everything we wanted and where we wanted it. An excellent book to help with this is The Backyard Homestead. For my frugal friends, you can find it at the library. This book shows you how to lay out a homestead plan on just about any size of property. I highly recommend it! Just like the internet, the library should be your very best friend. Free resources are a gem when you are homesteading so learn to check out books and read as many as you can. Actually putting expiration dates on your goals and projects will help you to complete them. Take this tip one step further and break your goals down by month and display it where you will see it every day. This little reminder will keep those goals front and center where you need them. Let’s dive into this just a little deeper. First – Write everything down on a sheet of paper that you want to accomplish for the entire year. Big jobs, small jobs, get it all down. Do not make the mistake of thinking you will remember. Get each item written down on paper so you are committed to get it done. Second – Once your list is written go through and assign a month to each goal or project. Keep in mind the business of the year. 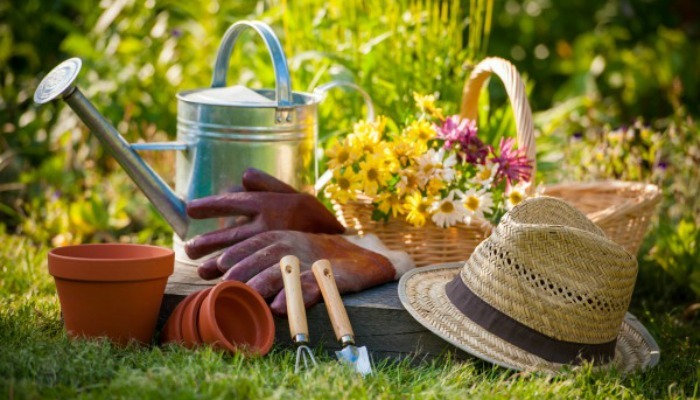 Don’t give yourself a list of 15 projects if it’s the month you plant your garden for example. Third – Write up a to-do list for each month. Use a new sheet for each of the 12 months to make things easier to see and follow. This monthly list will be your guide for the entire year. Begin each month with a meeting to go over the projects that are coming up. Set up a game plan to best tackle everything on your monthly list. As you complete something check it off and celebrate that victory! At the end of the month, go over your list. Carry over any goals or projects that you did not get to or finish up. Repeat this little system every single month. You will be amazed at how many things you get done doing it this way. To help you can use my homestead project planner pack. This is the exact same planner Hubs and I use every year and we love how well it works. We now get so much done we are no longer running in place never really getting anywhere. Just click the box below and sign up for my weekly homesteading newsletter. As a thankyou, youi will get the project planner for free! We had very little money when we started out so I know for a fact you can do this on even the tightest of budgets. With that being said there are things that you will need to spend money on and you should try to be realistic about it. When you write up your monthly goals and to-do lists for the year, add in what you will need to acquire and what the estimated cost will be for each project. This is the hurry up and wait part of homesteading. Start a savings account now with the total amount for the year as your goal amount. Unsure where or how to get the money to save? Read my post on How to Save Money when you have no Money to Save for tips and tricks. In the meantime, you can look at garage sales, flea markets, even recycling centers to find great deals. You don’t need a brand new John Deere to garden, a sturdy rake, and a strong back will do the same thing. Make a wish list of the tools you will need and start your search now. Scour the want ads, Craigslist, yard sales and flea markets. Check off your items as you get them. 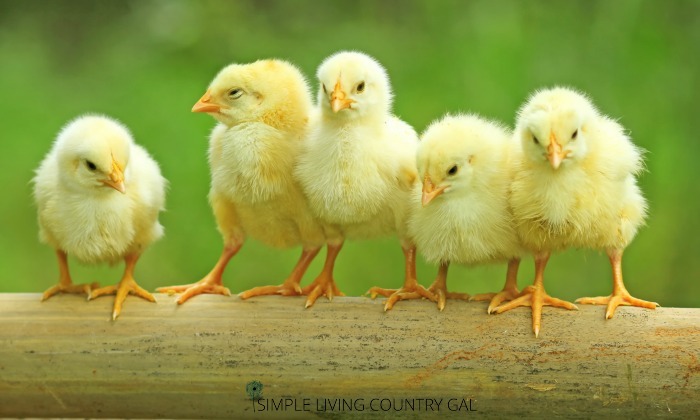 Remember every time you check something off you are one step closer to your homesteading dream! Step # 7 Research, research, research! As with any project, it is important to do your homework. If you don’t have an account on Pinterest now is a great time to start one. If you would rather not, a good old fashioned tickler file will do just as well. To get you started here are a few topics you may want to include in your research. As you find information, make notes, or clip articles put them into your file so you know just where it is when you need it. Starting a Homestead from scratch can be overwhelming. Taking the time to prepare yourself mentally, plan out your projects, gather your supplies and equipment will go a long way to your success. Can’t wait to read about your journey. Awesome ideas and aren’t they all the truth! I had come up with the basics of your post (plan ahead & create a plan & Pinterest…I love Pinterest!! & part of your research list) but you have additional detail I hadn’t even thought of. Thanks!! Now I have more to work on… & another reason to play on Pinterest. Thank you for this great info & the resourceful links. My wife and I are aiming for the summer of 2019. This is so helpful!